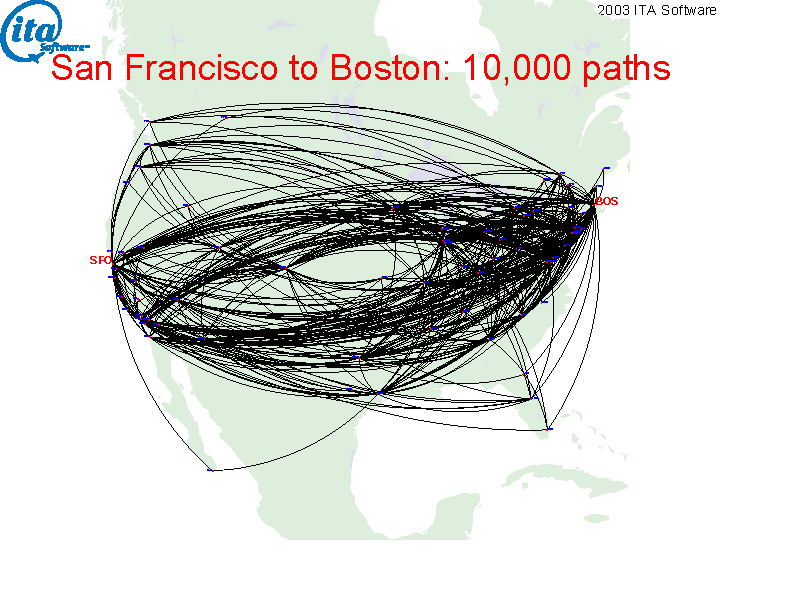 The Complexity of Air Travel Planning is a wonderful free online presentation by Carl de Marcken, co-founder and former CTO of ITA Software. It was forwarded to me by my colleague Steve L, who used to work at ITA as well. Thanks, Steve! Direct PDF link for those who prefer PDF: http://www.demarcken.org/carl/papers/ITA-software-travel-complexity/ITA-software-travel-complexity.pdf.